Helen has absolutely no interest in becoming a vet like her mother. So she isn't best pleased when asked to help an injured horse. Only this horse isn't entirely normal . . . and nor are his friends. Without warning, Helen is thrust into an extraordinary world full of magical rituals, fantastical creatures and a dangerous, powerful beast known as the Master, who would destroy it all. Everything hinges on finding the lost Book of Wisdom before the Winter Solstice. Can Helen work out the riddles and help her new friends to make amends for a foolish prank? This is a wonderful mixture of fable and fiction, woven together into an exciting race through Scotland's diverse landscapes, accompanied by an array of creatures from mythology and folklore. 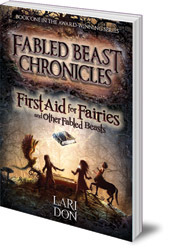 Lari Don has worked in politics and broadcasting, but is now a full-time writer and storyteller. She grew up in the north-east of Scotland, and lives in Edinburgh. 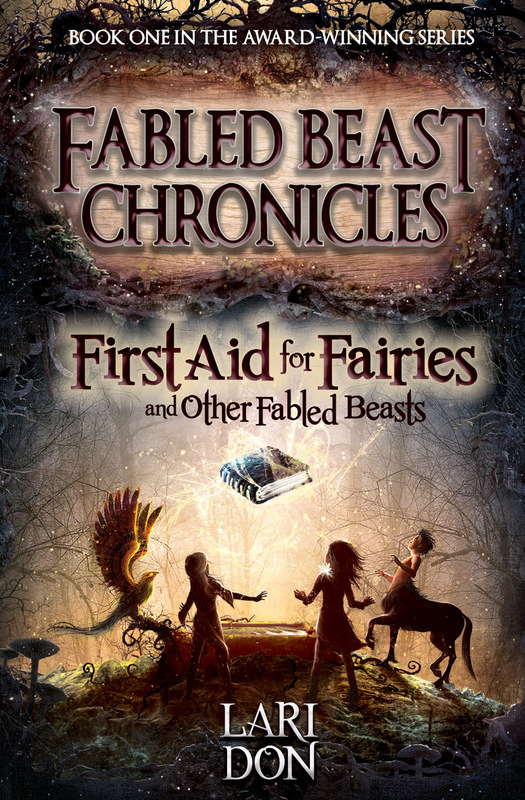 She is the author of three other books in the First Aid for Fairies series: Wolf Notes and Other Musical Mishaps; Storm Singing and Other Tangled Tasks; and Maze Running and Other Magicial Missions for older children, as well as Rocking Horse War. She has also written four picture books for children, The Big Bottom Hunt; How to Make a Heron Happy, Orange Juice Peas and The Magic Word. Check out the Book Trailer for Maze Running and Other Magicial Missions -- the fourth, and final, book in the First Aid for Fairies series.